Jonathan LaPoma is an award-winning, best-selling novelist, optioned screenwriter, songwriter, and poet from Buffalo, NY. In 2005, he received a BA in history and a secondary education credential from the State University of New York at Geneseo, and he traveled extensively throughout the United States and Mexico after graduating. These experiences have become the inspiration for much of his writing, which often explores themes of alienation and misery as human constructions that can be overcome through self-understanding and the acceptance of suffering. LaPoma has written three novels, eleven screenplays, and hundreds of songs and poems. His screenplays have won over 150 awards/honors at various international screenwriting competitions, and his black comedy script HARM FOR THE HOLIDAYS was optioned by Warren Zide along with Wexlfish Pictures (AMERICAN PIE, FINAL DESTINATION, THE BIG HIT) in July 2017. LaPoma's novel DEVELOPING MINDS: AN AMERICAN GHOST STORY is an Amazon Best Seller ("Satire" and "Urban Life" Kindle categories), and it won the 2015 Stargazer Literary Prizes (Visionary and Metaphysical Fiction category) and won the bronze medal in the 2016 Florida Authors and Publishers Association President's Awards (Adult eBook category). His novel UNDERSTANDING THE ALACRÁN won the silver medal in the 2017 FAPA President's Awards (Contemporary/Literary category). He lives in San Diego and teaches at a public secondary school. The Summer of Crud is a new adult literary fiction novel written by Jonathan LaPoma. With college behind him and the not-too-exciting future of beginning a teaching career looming before him, Danny was more than ready for a road trip. It would be the road trip that evoked the mood and magic of Kerouac. They would head west, through the flat prairie lands of the central states, climb over the Rockies in Ian’s aging Camry and finally reach the Pacific, the land of dreams. Danny wasn’t really that surprised though when Ian called hours before their scheduled departure time and announced that he was outside and ready to go. He didn’t even really work that hard to override Ian’s mandate that Danny not take his tent, but he did insist on bringing his guitar. It was, after all, part of the odyssey that soon he’d be playing his music in somewhere sunnier where he’d be appreciated. Danny knew instinctively that Ian was bad for him, that Ian thrived on tormenting him, kept him around to humiliate, embarrass and feel superior to him. But still, even Ian couldn’t spoil this. Danny follows the imperative to Go West that so many in their twenties, and beyond, eventually find the courage and vision to follow through on, but Danny seems to have so much to overcome. He’s from a home where a domestic abuser terrifies his mother, and by extension him, and his choice of traveling companion in the violent and abusive Ian continues the chain of abuse. His medical condition is as humiliating and shameful in his mind as it is painful, and is also something Ian is quick to point out to the people they come in contact with. As I set out on this flawed yet ultimately hopeful road trip, I couldn’t help but recall my first impressions of Journey to the End of the Night by Louis-Ferdinand Celine with its mocking celebration of all that’s tawdry and soiled -- and hidden underneath the guise of gentility. We see past the golden sunlight to the street kids with their broken dreams, to the panhandling in the Haight and the ghost of Kurt Cobain haunting the streets of Seattle. Danny’s odyssey, his metaphorical Summer of Love, is both marred and enhanced by the reality of his physical condition and that of the world. At once unworldly and preternaturally wise, he sees past the trappings into a reality that is not entirely unexpected considering his life up to that point. In Southern California, he’s briefly brought back to remembering better days as a child in a Florida, where palm trees and bright blue skies were similar to what he’s experiencing in the City of Angels. This brief passage says so much about this unexpected hero who, somehow, the reader can’t help but hope will survive all he’s experiencing, and that he might even find some modicum of happiness in his life. The Summer of Crud is most highly recommended. Jonathan LaPoma’s fiction novel, The Summer of Crud, shares the journey of two American graduates searching to find their place in society. Danny, who specialized in Education, teams up with his friend and fellow music enthusiast, Ian, in this cross country thriller. Both graduates love to listen to music and played music in a band successfully while attending college, and both had the desire to play professionally. Shortly before graduating, the band fell apart and Danny and Ian now search for the inspiration that will lead them to achieving musical greatness. These two find themselves looking for inspiration in the wrong places; and even when they occasionally find themselves in the right place, they either go about it the wrong way or miss out on the opportunity for one reason or another. This book brings to the surface the risqué behaviour of some college students and the power of peer pressure on an individual trying to fit in; a power too strong for the psychologically troubled Danny and the egotistic Ian to resist. “There’s nothing more isolating than insanity. You’re isolated even from yourself – slipping deeper and deeper inside, yet further and further away...” This extract from The Summer of Crud by Jonathan LaPoma depicts one of the many instances when the battle is very much active in Danny’s brain. It also exhibits LaPoma’s in depth approach. 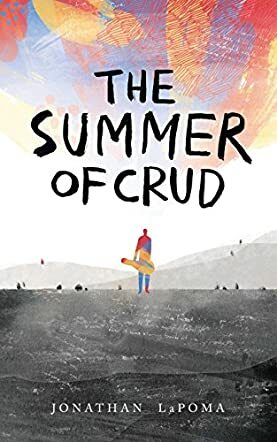 The Summer of Crud is a well written, witty, descriptive, detailed novel, full of adventure, fun and twists; an overall good read. Finally. College graduation. A new life on the horizon. No better time than now to stretch those wings of independence and treat the soul to a well-deserved adventure before real life takes over. It was time to hit the road. Play a little music, smoke a little weed, maybe even write a new song. Danny is more than ready to go, but when his phone rings at 4:23 AM to announce that his ride is hours early, he realizes that maybe this was not going to be the fantasy trip he expected. His travelling companion, Ian, was highly strung, demanding, and not particularly sensitive. Although they shared a love for music and their creative juices meshed well, they were not close friends. A cross country drive loomed in Danny’s immediate future, complete with layovers at an assortment of Ian’s acquaintances. And travelling in Ian’s car, Danny was literally at Ian’s mercy with no recourse if this trip was really important him. And it was. Important to the point of obsession. Life was too short not to take advantage of every random opportunity. As Ian and Danny progress to their shared goal of Mexico, they learn more about one another and even more about themselves. The Summer of Crud by Jonathan LaPoma is truly a coming of age narrative of self-realization and character study. While Danny endures Ian’s narcissistic and self-absorbed attitudes, he is also undergoing a personal conflict in his own life. LaPoma has penned a classic story destined to find its home in reading groups across the nation.